We’ve read a few books around a particular theme this week. Any guesses as to what the theme might be?! This is the story of a hedgehog who stands in for Santa, because Santa has a cold. He is asked to deliver presents, and sets about doing so. Pretty soon he needs some help from his friends, though it doesn’t go quite to plan even when others step in to give the hedgehog a hand. There are touch-and-feel elements to most pages, and the illustrations are nice and clear. On Sunday, James didn’t like to touch the red hat touch-and-feel bits. They are cleverly done, especially on the pages where the hat unravels. On Monday we enjoyed Surprise! This book has a hole in, which gets smaller with each page turn. 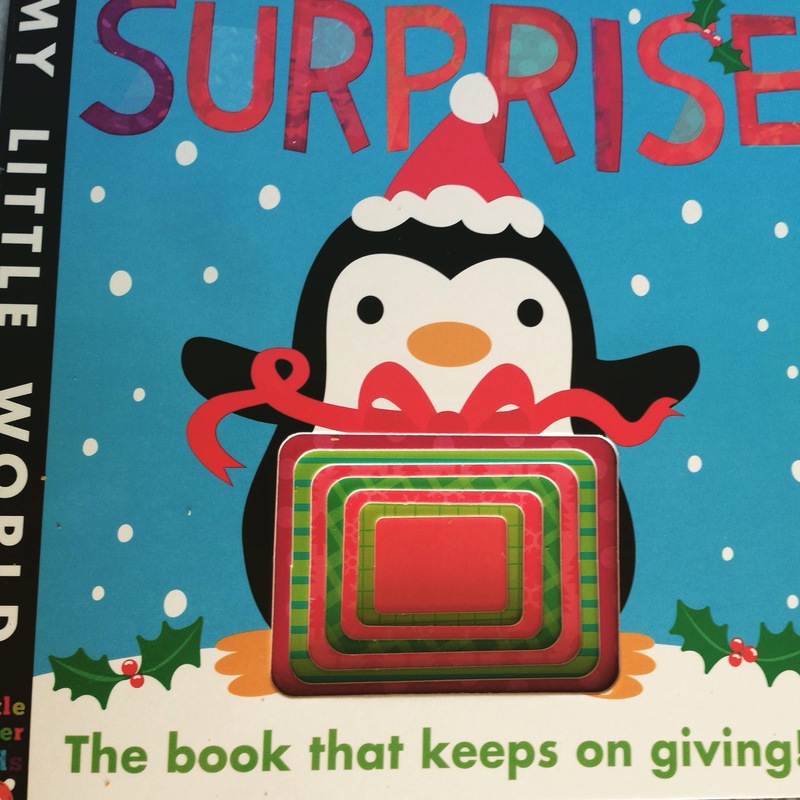 The hole is a parcel, which animals unwrap in turn until the last page where they get to share the big present in the pass the parcel game. James doesn’t understand pass the parcel. I don’t think he gets this book yet. But he likes the story and has most of it memorised. His favourite page is the crocodile who uses his teeth to make trees from the paper he takes off the parcel. 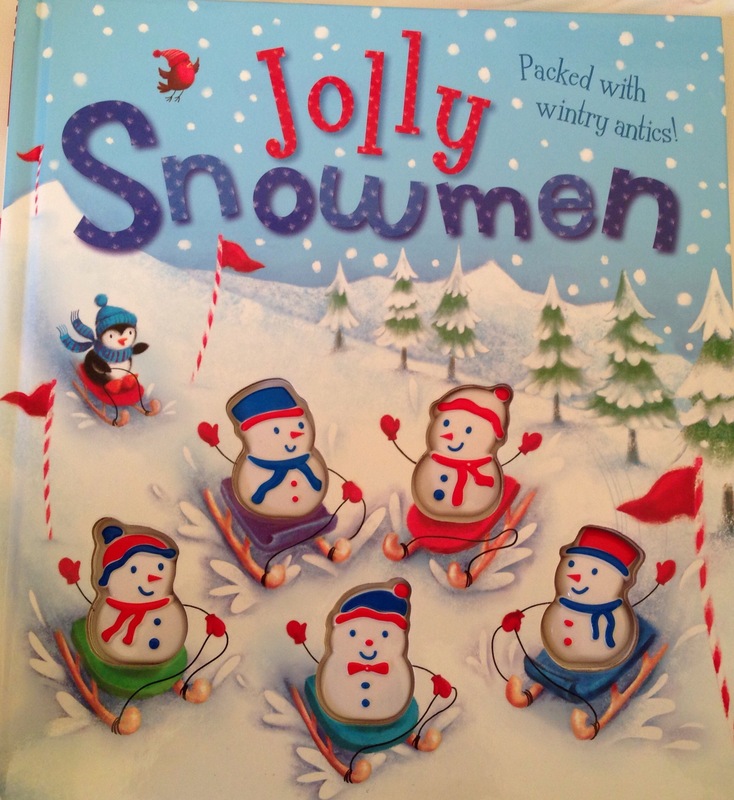 Tuesday’s bedtime book was Jolly Snowmen. It has five plastic snowmen that you can see on the first page. As the story goes on and you turn the pages, snowmen disappear until there’s only one left. He gets lonely and calls them all back so you can count five (illustrated not plastic) snowmen on the last page. James loves this book and has it memorised so he can ‘read’ along with you or without you! 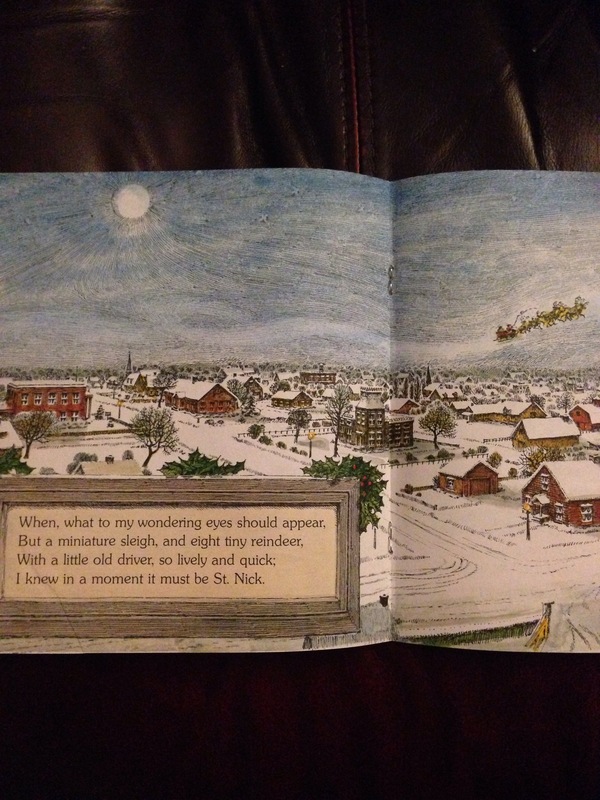 He especially likes the page with two snowmen on, one of whom wakes a polar bear with a sneeze. No Wednesday bedtime book this week, though we read Hug a few times during the day. Thursday’s book was, of course, the Night Before Christmas. James just tolerated this book and didn’t ask for it to be read again! That’s never happened before! On Friday we read I’m A Big Brother. I bought this book because the blurb sold it as a story to help new big brothers understand the new baby doesn’t mean mummy and daddy love you any less, and you need to be gentle with the baby. These are two messages I really want James to hear right now. I wish the boy had blonde hair, and I wish the baby wasn’t bottle-fed because the book would match our circumstances better. But as it is, James enjoys it and does ask for it during story time. There hasn’t been that obvious ‘click’ there was with My New Baby when James realised if he lets Noah sleep then he gets a story at bedtime, as happens in the book. 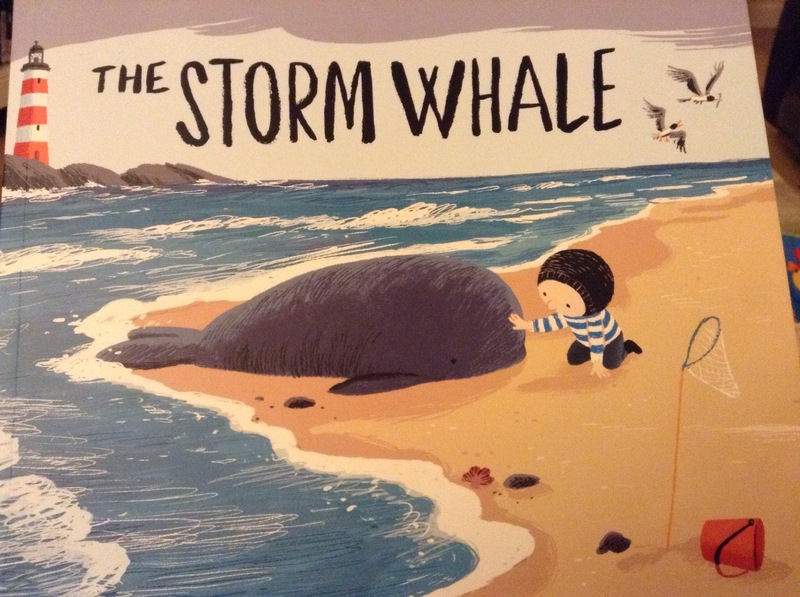 Saturday’s book was The Storm Whale, which I thought was brilliant. It’s a really sweet tale of a boy who finds a whale on the beach, and, because he’s lonely, he takes it home to befriend it. I love this scene of the whale in the bath, while Noi tries to help the whale feel at home. Rob read this to James and, in his opinion, it’s missing something. James didn’t ask for it to be read again. This was the first time we’ve read the book, and Rob didn’t read it more than once, so I’m not sure of the read-it-again rating. One to come back to, I think. I hope you’ve enjoyed some books for bedtime this week. What’s been your favourite read? James tolerated “night before Xmas?” It’s become a tradition in our house. I’m with you on that. Maybe he’ll like it better next year. I like the message of the big brother book. But as you stated, wishing the boy had blond hair, I wish there was a book that matched our family dynamic. Biracial books are few and far between. I would also relate more if the baby is breastfed. Thanks for this review. It helps. I can’t tell you how disappointed I was that he just tolerated it! You’ll have to get writing and illustrating; there’s definitely a market there! Middle grade books are getting to be so depressing that I might have to turn to picture books myself! These look like a lot of fun. 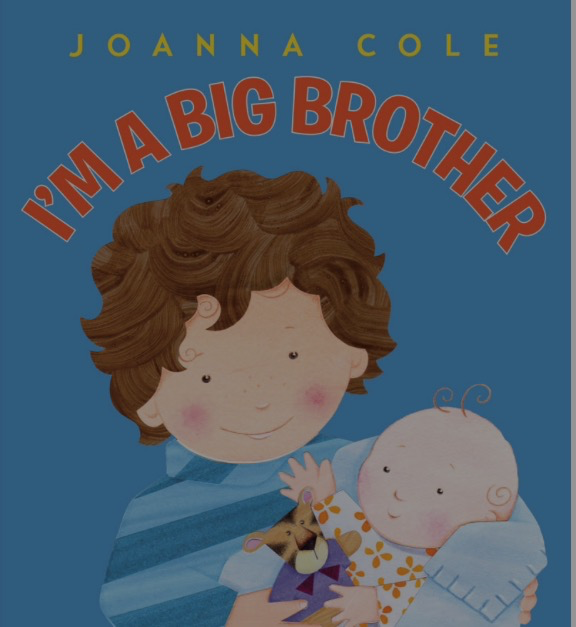 Joanna Cole seems like a familiar name– maybe the potty book I reaf constantly 20 years ago with my daughter? Yes, I think Joanna Cole did write the potty training books. 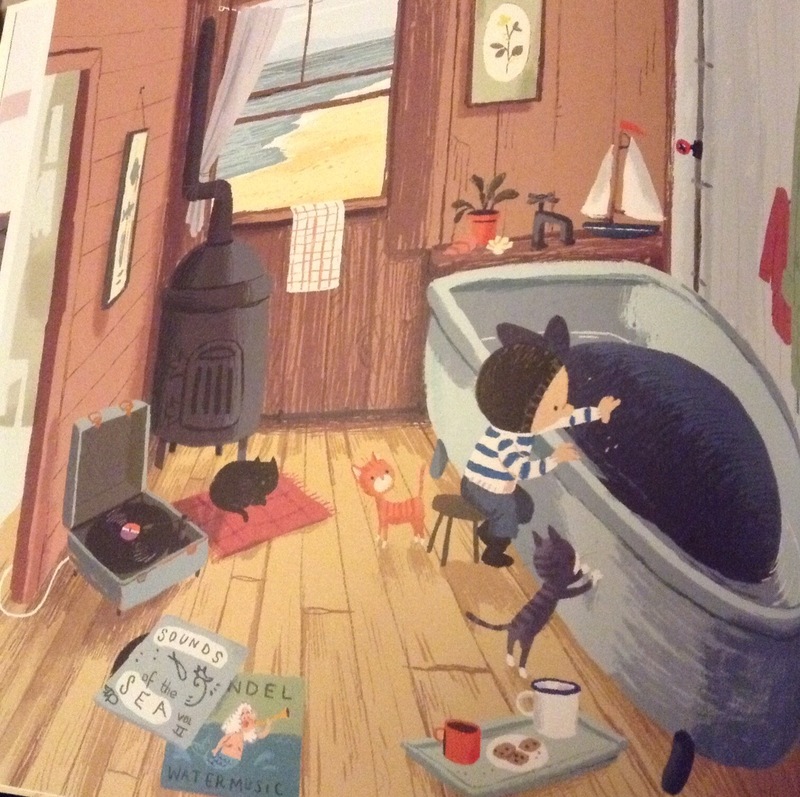 Some picture books are really fun. We are reading animal themed books this week, and our wolf story was particularly great; middle graders would definitely appreciate the humour. I think that comes with the territory of being a mother – it’s very handy to have a library of short stories to rattle off at any given moment. Did you used to get stories in the dark at bedtime?! It was a gift for Christmas, so it’s new to us. Any others you’d recommend?